UPDATE (12;49pm PT on Monday): The Giants officially announced that former manager Dusty Baker has been hired as a special advisor to CEO Larry Baer. "We are thrilled to welcome Dusty back to the organization. In addition to being one of the most beloved Giants alumni, Dusty brings a wealth of expertise, knowledge and experience to this position and I know his contributions will be felt far and wide throughout our organization," Baer said in a statement. 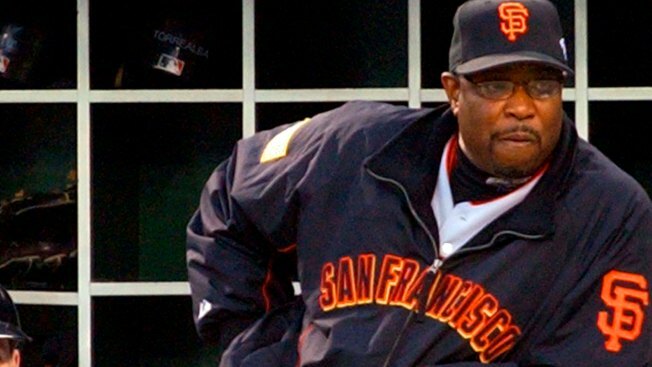 After 16 years away from the Giants, Dusty Baker is returning. The Giants will reportedly announce Monday that Baker has been hired as a special advisor to CEO Larry Baer and executive vice president Brian Sabean. News of the reunion was first reported by USA Today. Baker served as the Giants' manager from 1993 through 2002. During that time, he compiled a 840-715 record with three postseason appearances and a World Series appearance in 2002. After managing the Giants, Baker spent four seasons with the Cubs, six seasons with the Reds and the last two seasons with the Nationals. A three-time National League manager of the Year, Baker was fired by Washington following the 2017 season.